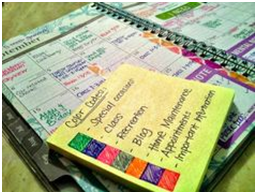 Note taking is a key skill that every student needs to master during his/her time in school, college or University. Good note making allows registering of relevant points and an effective record for revision. It not only helps in understanding the new knowledge acquired but also assists in forming better opinions about those ideas. It is also a good method to avoid plagiarism. To avoid such problems, effective note making strategies are vital for every student to learn, to not only make the experience of note taking simpler, less stressful and time-consuming but quite a lot of fun. Below are some ways through which every student can become the master of this art. Find the right tool for yourself. Read the text or assigned reading. Question the text and hope to find the answers during the Lecture. 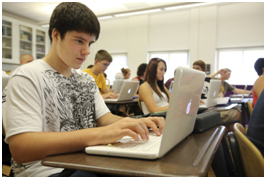 For most of the classes, I recommend using a Laptop. Using a Laptop not only makes your notes organised, easy to read and much more legible than the chicken scratch, you call ‘handwriting’. However you can always switch mediums and use pen and paper instead. It is a good technique to be a master of both ways of note-taking. If you are in one of those classes where Professors have banned the use of laptops, then going your grandad’s way is the best possible solution-using pen and paper. Moreover, it is practical to use pen and paper in most of the classes of mathematics, engineering and other technical subjects where one needs to write many formaulae , numbers, symbols and equations etc. Also for language classes, the pen and paper works the best. To keep your notes organized I recommend using different notebooks for different subjects and using coloured pens and highlighters. You can colour code in terms of importance of the concept and highlight the sentences which are most repeatedly told by teachers to remember. These days using coloured ‘post-it’ are also quite in fashion and less likely to be laughed upon by your co-mates. There is a great potential for creativity here if used wisely. Evernote : Evernote is a free robust application that allows you to organize and remember everything that your Professor teaches you. You can easily sync your notes taken on Evernote desktop app with the Evernote account online and store it on the cloud. This keeps your notes intact in case your laptop or computer crashes. If you are fond of writing handwritten notes, Evernote allows for scanning of these notes which can be searched anytime on the app. With this great application you can also record the lectures from your Computer’s microphone, just make sure you have taken the permission for the same from your Professor to avoid any upsets in the class. OneNote : OneNote is Microsoft’s note taking program and is a decent note taking program. It works almost same as Evernote having the only limitation of limited number of notes you can have and clips you can make. You can sync OneNote with your computer through Skydrive or through Dropbox if you have that. It is easily available online and as app for free, and has arguably proved to be one of the most organised ways or note-keeping. As its competitor, Google Keep is another Note-taking platform by Google as the name suggests that has come in the market, however as a teacher I would recommend any of the above two note making programs for more efficient note making technique. As you take notes in the class, you might want to underline, italicise or bold certain words and sentences. Instead of doing the same through the track-pad, you could use the simple shortcuts. This would not only save time but also make you more keyboard savvy. To bold text: Control+B (Command+B on Mac), then type what you want to bold. To underline text: Control+U (Command+U on Mac), then type what you want underlined. Evernote/OneNote: Control+Shift+O (Command+Shift+O on Mac). If you find yourself typing certain phrases again and again, you could use Text Expander Programs. These allow you to assign predefined keystrokes to complete words and phrases. For example, in one of my lecture notes I often use the phrase ‘ Intentional Infliction of Emotional Distress’. So instead of writing and rewriting the whole phrase again and again, I programmed a text expander so that whenever I type ‘iied’ , the output would be ‘intentional infliction of emotional distress’. Isn’t it wonderful? These two forms of note-taking are useful for different things. Linear notes are what most people use while making notes. 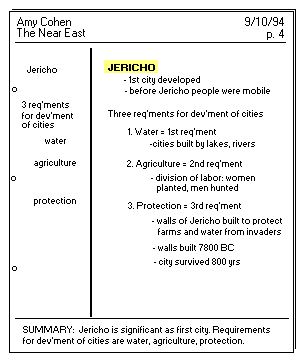 They are written down with headings and subheadings, and have plenty of room for detail. Here are some suggestions for making linear notes more useful. Use loads of HEADINGS for main ideas and concepts. Use subheadings for points within those ideas. Stick to one point per line. You can use numbering to keep yourself organised. Use abbreviations – and don’t worry about using full sentences. Spider diagrams are on one page and are good for showing structure and organising your ideas. 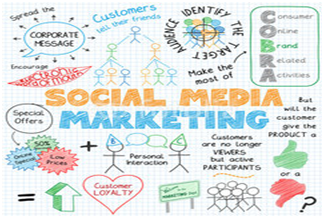 They are sometimes called mindmaps, which indicates how they are good for making connections clear and visual. They keep your notes on one page – so you’re less likely to ramble. They show the main points at a glance. 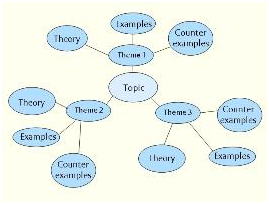 They keep points grouped together – good for essay structure. They clearly show where there are gaps which need more research. Use whole side of paper – A4 at least!. Put the subject in the centre. Use one branch per main point – radiating outwards. Don’t start by making your points too big – you will need more space than you think. You can add how the points are connected on the joining spokes. Add smaller branches for detail & examples. Summarise just enough to remind you of point – details and definitions can be added as footnotes. The Cornell system for taking notes is designed to save time and be highly efficient. There is no rewriting or retyping of your notes. It is a “do it right the first time” system. Use a large, loose-leaf notebook. Use only one side of the paper (later, you can lay your notes out to see the direction of a lecture). Draw a vertical line 2.5 inches from the left side of you paper. This is the recall column. Notes will be taken to the right of this margin. 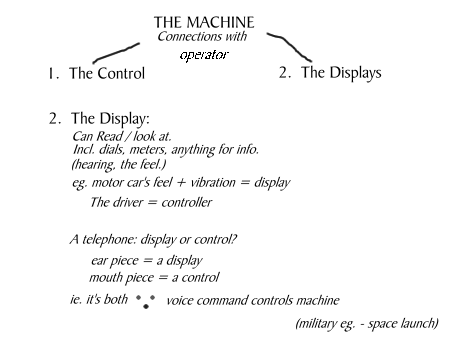 Later, key words or phrases can be written in the recall column. Read through your notes and make them more legible if necessary. Now, use the recall column. Jot down ideas or key words that give you the idea of the lecture. You will have to reread the lecturer’s ideas and reflect in your own words. Cover up the right-hand portion of your notes and recite the general ideas and concepts of the lecture. Overlap your notes showing only recall columns and you have your review. Getting a sight of your black and white notes especially just before exams can be very scary. Why not pep it up a bit by using loads of illustrations, diagrams, charts and other creative techniques. Going visual in your note taking can make your experience much more fun than you think it can be. These days many fun note taking tools and techniques have come in the market. 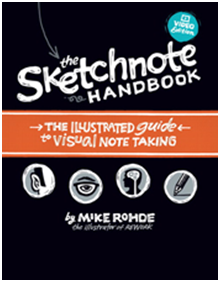 One such is The Sketchnote Handbook which is easily available online. It is a gorgeous fully illustrated handbook explaining practical sketchnote techniques for using visual notes-regardless of your artistic abilities- to help you better process the information that you are hearing and seeing through drawing. Once you have got it, you would itch to attend lectures and to draw about it. If you are tech savvy and familiar with using apps, you can also go for Sketchnote App. Notes are probably the only place in formal schooling where internet slang can be used for taking faster notes and to understand them later during review. Trying some new shorthand is a really geeky way to slightly tweak your engravings. However one must remember and jot down the meaning of your new ’script’ to understand your words and phrases easier. 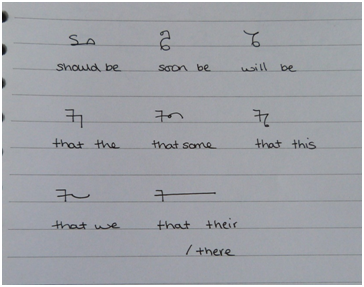 ‘Teeline’ is one of the most handful shorthand courses and techniques for students to make the most of their note-making experience. Now that you have read the 10 creative ideas to take lecture notes, here are some tips which I am sure will be very useful and will definitely make note-making easy for you. That is a promise from a teacher! Be an active note-taker and not a sponge which means keep your mind open along with your ears and eyes. Think about what you already know and look for connections within the topic and form questions, ideas, opinions and understanding of the content. Preparing yourself before the lecture comes handy here. Find the right tool for you to make notes- be it through technology or through pen and paper. Keep your notes brief, selective and as far as possible in your own words. Do copy the notes or content that will be available over blackboard, presentations and handouts or handbooks. Note anything you don’t understand by highlighting or underlining to ask your instructor the next time. Record sources and direct quotations right from the beginning to avoid accidental plagiarism. If you find it especially difficult to write notes and listen at the same time ( for instance if you are dyslexic), consider using a mini-recorder so that you can listen at your own pace after the lecture. Find a quiet place to sit after the lecture to review, discuss and understand what was taught in the lecture. Lastly, file or keep your notes with care so that you can find them when you need for assignments or revision.